Paris (AFP) - Personality traits such as moodiness or open-mindedness are linked to the shape of one's brain, a study said Wednesday. Researchers said they found a striking correlation between structural brain differences and five main personality types. "The shape of our brain can itself provide surprising clues about how we behave -- and our risk of developing mental health disorders," said a statement from the University of Cambridge, which took part in the study. Psychologists have previously developed a "Big Five" model of main personality types: neuroticism (how moody a person is), extraversion (how enthusiastic), open-mindedness, agreeableness (a measure of altruism) and conscientiousness (a measure of self control). 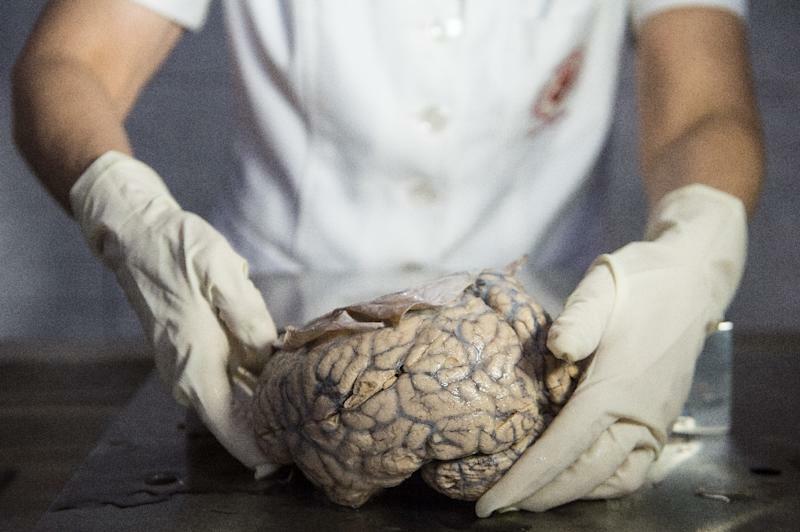 Using brain scans from over 500 people aged 22 to 36, the new study looked at differences in the cortex -- the wrinkly outer layer of the brain also known as grey matter. Specifically it focussed on combinations of thickness, surface area, and the number of folds in different people. "We found that neuroticism... was linked to a thicker cortex and a smaller area and folding in some brain regions," said study co-author Roberta Riccelli of Italy's Magna Graecia University. Conversely, openness, "was associated with a thinner cortex and greater area and folding". Neuroticism, the team said, was a trait underlying mental illnesses such as anxiety disorders, whereas "openness" reflects curiosity and creativity. The deep folds in the human brain were the evolutionary solution to fitting such a large, super-computer into a relatively small skull. "It's like stretching and folding a rubber sheet -- this increases the surface area, but at the same time the sheet itself becomes thinner," co-author Luca Passamonti of the University of Cambridge explained in a statement. The study was the first to clearly link the "Big Five" personality traits to differences in brain shape, Riccelli told AFP. This, in turn, was "a crucial step to improving our understanding of mental disorders," she said. "It may give us the opportunity to detect those who are at high risk of developing mental illnesses early, which has obvious implications for prompt intervention." The research touches on a question that has occupied the minds of philosophers and scientists for centuries -- are humans more a product of their genes, or of their upbringing and exposure? The study, published in the journal Social Cognitive and Affective Neuroscience, could not conclude that brain shape determines a personality type, its authors said. "We cannot answer the question: 'What came first, the chicken or the egg? '," said Riccelli. "Hence we can't say if we have a specific personality type because our brain has a specific shape." Brain shape, in itself, is determined by genetic as well as environmental factors, she pointed out. The team hypothesised that brain differences may be even more pronounced in people likelier to suffer from neuro-psychiatric illnesses.